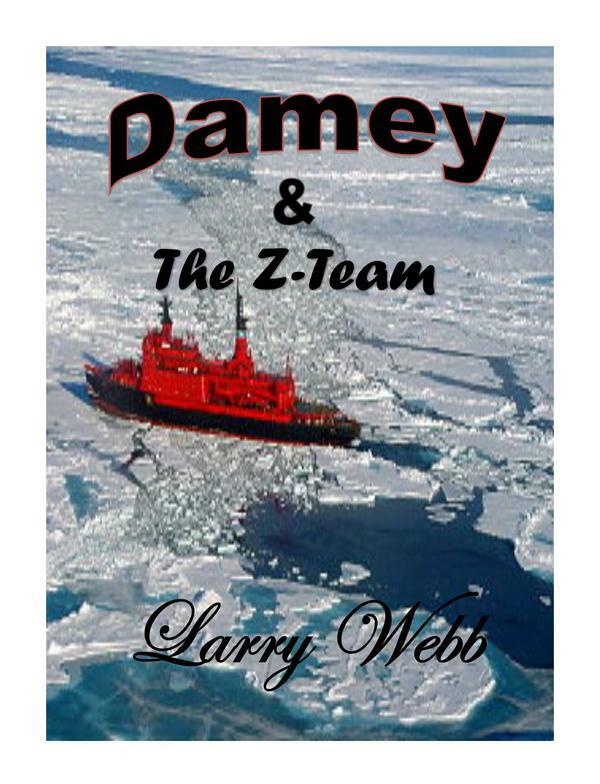 BOOK DESCRIPTION: Damey & the Z-Team becomes an adventure thriller when a freakish disaster at sea on an icebreaker leaves Damey locked in the bowels of the ship with no electricity, water, or heat. The rest of the ship suffers the same conditions with outdoor temperatures ranging in the vicinity of twenty below zero and are unable to free him. They, however, are not locked into their rooms. The US Navy discovered a mysterious flow of oil seeping out from under the ice shelf in the Antarctic. As a fifty year international ban went into effect in 1988 regarding any oil or mineral exploration in that area of the world, the discovery was automatically suspicious. For some reason, unknown to Dewline Robotics Engineering, the National Security Administration and Department of Defense are aware of the nuclear powered, oil-sniffing, underwater robot that Damey and his crew have been developing. The NSA contacts the company and asks for help. As the vice president of Dewline, Dr. Damarian Williams, PhD, AKA Damey, is considered one of the top, if not THE top robotics scientist/engineer “Geek” in the country. Therefore, Sam Wardwell, owner of Dewline, always leaves all emergency troubleshooting operations up to him, much to the chagrin of his wife, Zandy, and children, Zack, Zaiden, and Zane. The boys hate having Dad gone for extended periods.